This is the complete meaning of the mirror hour 22:22. Discover what this double hour means right now and the message that it’s trying to send to your subconscious. We will give you an instant interpretation of this hour that’s made up of two “22”s using the 72 guardian angels, numerology, and the 22 Major Arcana of the Tarot. You see, the double hour 22:22 is heavy with meaning. Indeed, the number 22 is one of the most powerful numbers, and is also one of the master numbers like 11, 33, etc. Here you will learn the name of the angel who has influence over this hour as well as the significance of 22:22 using an analysis through numerology. Studying Kabbalah tells us that the tree of life is made up of the 10 sefirot which are connected to each other by 22 pathways. Seeing this mirror hour indicates that you are sensitive to the collective energies of creation and great things await you if you learn how to make use of them. An interpretation of 22:22 with the guardian angels shows that you are going to do great things! You have the necessary patience and humility, but at the moment you are lacking recognition. Your perseverance will allow you to become a real role model in your field. You are going to command respect through your determination and your strong work ethic. It is undeniable that you have a real sense of purpose! Whether it is in your work or your family life you always honor your commitments, but the angel is telling you that you should let the people around you express their ideas as well! You have a tendency to think that you can do everything by yourself, but this may wear you out in the long run. The message here is clear: if you have seen the hour 22:22 then this is confirmation that your mind is working at full throttle. The subconscious works without us willing it to, it is fed by your conscious mind and your experiences. This explains why you often have new ideas! Your angel fills you with creative energies that you develop in your life without realizing it. You would be able to give your all to a career in politics because you always have your feet on the ground and you respect institutions. You are an endless source of new ideas, this will be so much easier for you if you are able to use these idea to improve the lives of others. The guardian angel corresponding with 22:22 is Habuhiah whose period of influence is between 22:20 and 22:40. He is the symbol of fertility and health! 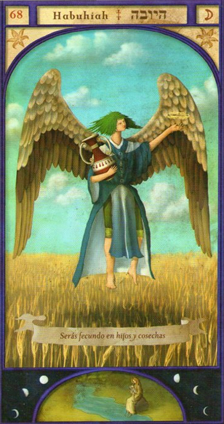 This guardian angel brings you a wealth of ideas and good payback. He is also with you if you are trying to conceive a child. He can bring you good health and is able to cure the pains of the body and soul. Thanks to him, you are able to tune in to synchronicity more easily. This gives you the energy balance you need to fight some of your desires more effectively. What does 22:22 mean in Numerology? 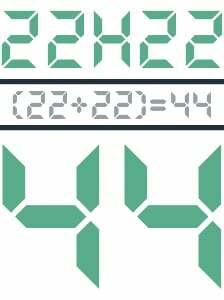 The total value of the mirror hour 22:22 is 44. An analysis of this number using numerology shows that you have the ability to create great things, especially in the realm of work. You are very efficient and in any challenge it is your concentration which helps you to face your problems. You have great ambitions, most notably in the material aspect of your life. You have a need to feel safe financially. But be careful not to sacrifice other areas of your life. If you try to obtain more than is reasonable, you risk getting out of your depth and may meet your downfall! 44 is a master number which suggests that you should aim to have a full awareness of your strengths and weaknesses. This will be useful for you in maintaining long-lasting and stable relationships whether it be in love, in friendship, or in a professional partnership. 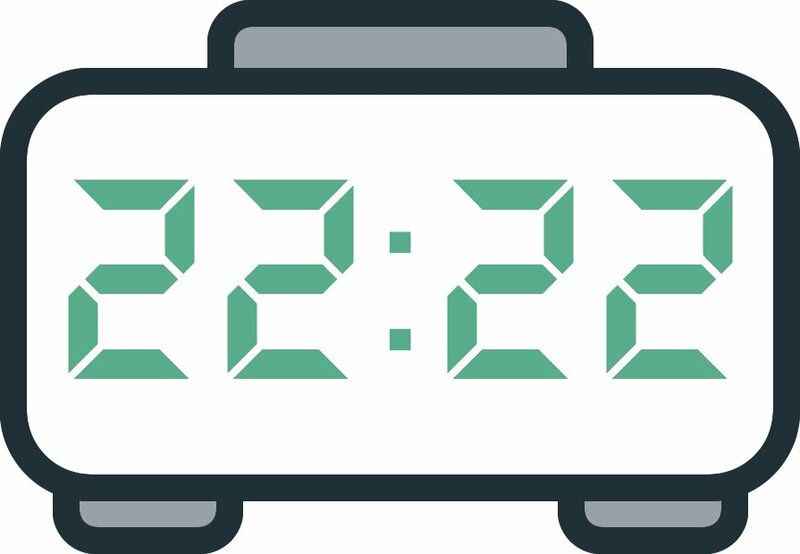 If you are waiting for an important phone call then seeing the mirror hour 22:22 indicates that the person who is supposed to make it will do so incredibly soon. Your patience will once more be met with results. 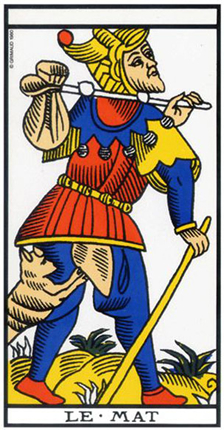 The Tarot card corresponding with 22:22 is the Fool which indicates a leap of faith and a kind of uncertainty related to a choice or a situation. It shows that an irrational thought could lead you to a life on the sidelines. This card speaks of progress, but without any concrete goals. It is difficult to give a positive interpretation of the Fool because of how closely connected the 22nd Arcanum is to uncertainty. It could however indicate a romantic relationship which is based purely on passion. That being said, it would be for the best to try to keep your feet on the ground! You must be feeling a little lost right now, isn’t that right? The Fool Arcanum indicates that you have perhaps made some choices which others would consider irrational. Its symbolism shows that you are taking steps towards the unknown without any real direction. You are going to need to take charge! In love, the Fool indicates unstable emotions, a kind of uncomfortable relationship which could even lead to someone running away or leaving. On the professional level, you are going to need to stop running from your responsibilities and show some maturity. To reach your goals, you first need to understand what they are! Financially speaking, the Fool indicates some important expenses. He also warns that you may encounter some unexpected costs, or even some overdue payments. Any comment on the 22:22 mirror hour? It seems a natural progression from an idea to actually help to put it into reality. The call to stay more grounded seems to ring out here. Also my interest in numerology seems to be increasing. My belief in angels and guides is re-affirmed with the 22:22. Saw it yesterday and wondered. I’m in year 22 for the first time in my life so I’m quite curious. I see the time 22:22 all the time. Been happening for a while. Just last night i woke up from a deep sleep and tapped my phone to see what the time was , and guess what it was ? – 22:22. I keep asking why not 22:23 or 22:something else: I see it non stop, what could it mean? I have been wanting to enter the field of cannabis in Colorado so I applied for a desired position as a budtender today. And tonight as I lay in bed I notice my time on the phone said 22:22 …i immediately felt overwhelmed with positive vibes. So it brought me here. When I looked at the time again, the temperature read outside popped up and read 22degrees. That was 🔥. Lol. But I believe that call of greatness is on the horizon. Synchronicitys everyday. Numbers every where! I am so connected and happy about this!